First you need a terran guy, lets name him Peter Quill (or Starlord, Chris Pratt), who not quite managed to leave behind the trauma of his mother dying when he was still a boy, religiously carries the mixtape with him he got from her and who is now thieving his way through the known universe after being abducted by aliens who proud themselves on not having eaten him. Then you need an alien female protagonist named Gamora (Zoe Saldana) who actually starts out working for the bad guy but then comes out as secretly working against him trying to get a mysterious orb (McGuffin!) that the terran guy happens to have stolen. Boom, male and female lead. Then you need two people (you could call them the Nova Empire and the Kree) that just stopped fighting and signed a peace treaty. But with the bad guy, a Kree named Ronan (Lee Pace), you establish that someone is ignoring the peace, as he is on a mission to get the ultimate weapon (orb) and hungers to destroy the Nova Empire. 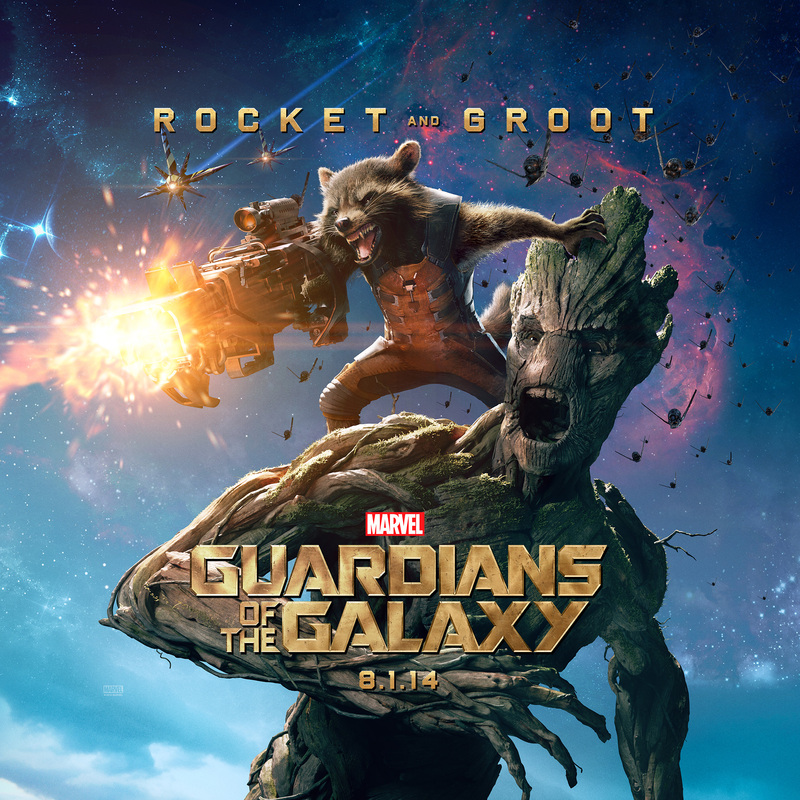 Let Peter and Gamora forcefully meet with two bounty hunters on the planet Xandar, one a small genetically engineered furry animal called Rocket (Bradley Cooper) and the other a humanoid tree with limited vocabulary called Groot (Vin Diesel). They all fight with each other but then get arrested and imprisoned by Nova Corps. In prison they meet yet another angry guy named Drax (Dave Bautista) who is out to kill Ronan because he killed his family. Learning that Gamora has a buyer for the orb and (conveniently) can also lead Drax to Ronan, they all decide to work their way out of prison together. Add insane break-out sequence. A short trip to Knowhere (kind of the mirror image of Cloud City on Bespin) later the potential buyer called the Collector (Benicio del Toro) opens the orb and reveals an infinity stone (transform McGuffin), a very dangerous weapon that destroys almost everything with ease. 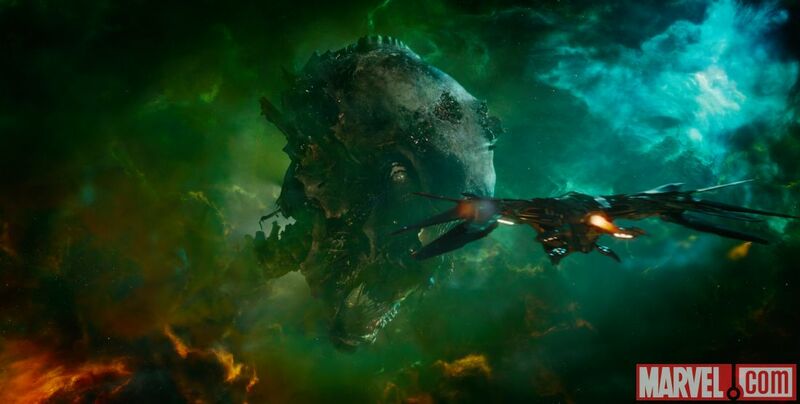 Ronan, just back from visiting his boss Thanos and being called by the eager Drax arrives, fights and defeats Drax, steals the stone and is on his way while the team breaks apart. Let the Quill guy save the lady and then re-bond with his mates of the Ravagers (who he cheated on earlier) to prevent the destruction of Xandar and let them have a spectacular battle that has to prove whether this colorful group can become a team and survive in the end. Oh, just for good measure lets give Gamora a sister called Nebula (Karen Gillan), who can kick almost everybody’s asses and doesn’t share her sister’s affinity for disobedience. Give it a good whirl and add 3D into the mix to get the summer blockbuster of 2014. Having seen probably every relevant science fiction movie of the last three decades there is nothing really you can do to reinvent the genre. Guardians immediately makes it clear that it doesn’t take itself too seriously, incorporating witty dialogue and puns into even the most cliché-ed scenes and situations. As the story shows there are no real sharp curves here, although the great characters kind of masquerade this. With the introduction of each of the main characters you feel like you are in a screwball comedy with the plot thickening and the goal becoming more obvious and a little more complex. The plot devices are surely not new but they don’t feel boring for one second. 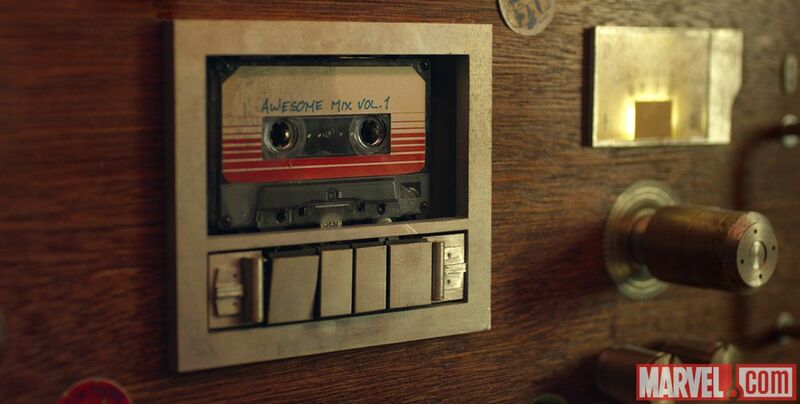 An important aspect comes from the music that, apart from the score, consists of music from Quill’s mixtape of pop songs from the 1970’s and 1980’s, given to him by his mother. Using that instead of a more classical score gives some of the scenes a lightness and an ironic hue that adds to the overall lack of seriousness. To be clear, you become invested enough in what’s at stake here but you’re not strapped into an emotional roller coaster that tries to put on screen all the tragedy that the destruction of the galaxy can turn into. It’s a lot like Spaceballs in this regard (imho) and very different to FX heavyweights like Man of Steel. On a technical level this is done beautifully, even the 3D worked for me which is not that easy to achieve. Sure there are some big space fights and explosions and stuff but it never really takes the lead and never becomes too overwhelming to watch. It’s just the right amount of action sequences in a very reasonable pace (obviously totally not inspired by Michael Bay) and they work great with the more character driven scenes. There are lots of gimmicks which I like very much and which could easily get boring if, again, the characters and the overall world design weren’t able to sell it. One reason why they (the characters) are able to sell it so well, I think, is that most of the faces on screen are quite fresh although not unknown. The more famous cast members like Bradley Cooper or Vin Diesel don’t really appear on screen and others like e.g. 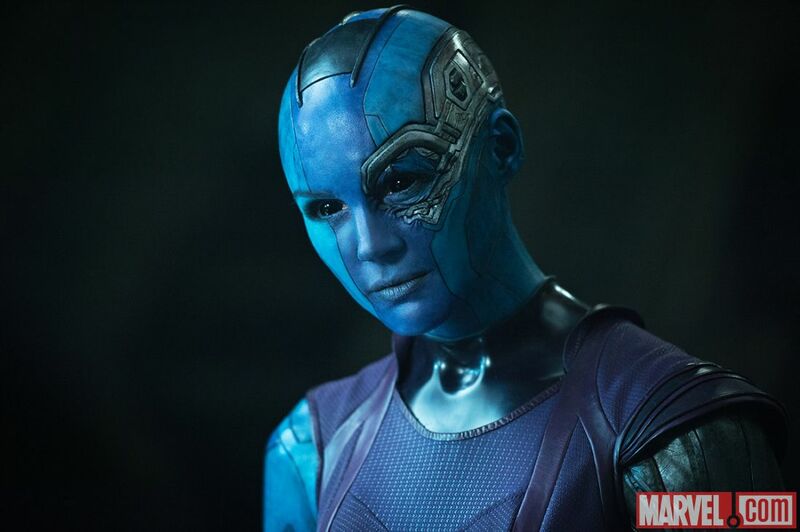 Karen Gillan as Gamora’s sister Nebula I had a hard time recognizing at all. I think that really drove home the acting, kind of like in the first Star Wars movie. In fact Star Wars came to my mind quite often when thinking about why this movie works so well. 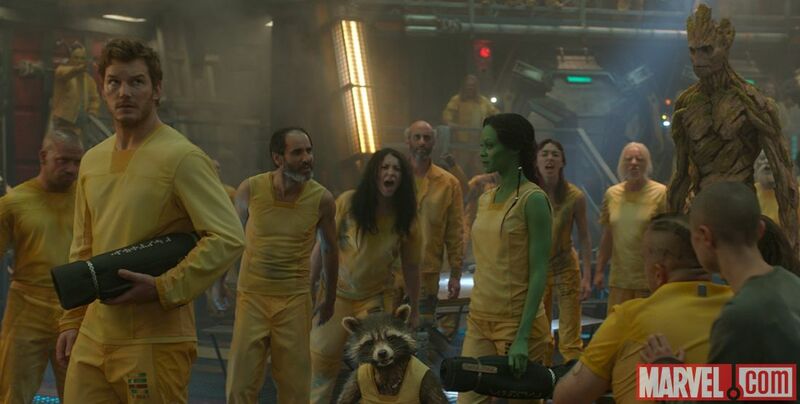 And I really started wondering what J.J. Abrams could add to Episode VII that wasn’t already in GotG. 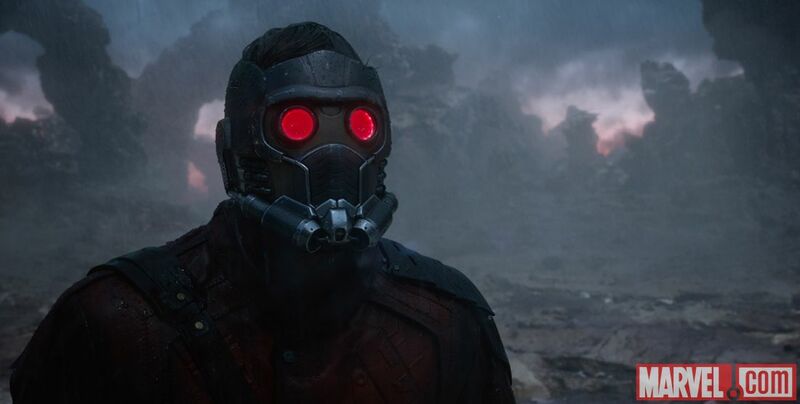 Can a universe look any dirtier than James Gunn’s? They even have lens flares! So I guess the success is well deserved. 8.6 on IMDB, 92% on rottentomatoes and a metascore of 76 with 8.7 user score. 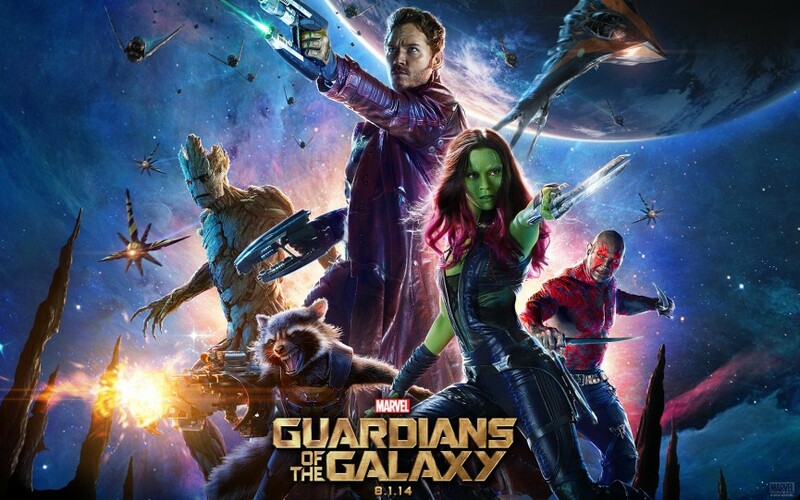 Guardians of the Galaxy is the summer blockbuster of 2014 and for all the right reasons. A sequel is already in the works and I’m already looking forward to it.